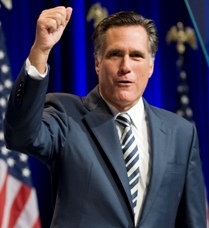 Even the Mittster himself–Republican Presidential nominee Mitt Romney–has gotten into the act. “I think he’s defining what it means to be out of touch with the American people,” Romney said. The clear message that Republicans want people to take away from this is that “Barack Obama thinks that the economy is just fine.” Except that’s a lie. That’s completely the opposite of what Obama said. And that’s why what Obama said wasn’t a “gaffe” at all. It’s only been twisted to sound like a gaffe by Republicans who are all giddy like little schoolgirls that the economy is bad in a presidential election year and they get to use it against a sitting president, and the media types are all too happy to help them do it if it stirs up the proper amount of controversy. Keep in mind that the private sector has been hiring at a solid pace over the last 27 months. One of the biggest weaknesses has been state and local governments which have laid off 450,000 Americans; teachers, cops, firefighters. Congress should pass a bill putting them back to work right now, giving help to the states so that those layoffs are not occurring. The private sector is doing fine. Where we’re seeing weaknesses in our economy have to do with state and local government. Oftentimes cuts initiated by governors or mayors who are not getting the kind of help that they have in the past from the federal government, and who don’t have the same kind of flexibility as the federal government in dealing with fewer revenues coming in. And so if Republicans want to be helpful, if they really want to move forward and put people back to work, what they should be thinking about is how do we help state and local governments and how do we help the construction industry. Because the recipes that they’re promoting are basically the kinds of policies that would add weakness to the economy; would result in further layoffs; would not provide relief to the housing market, and would result, most economists estimate, in lower growth and fewer jobs. Context is everything. The truth is that the statement “the private sector is doing fine” wasn’t a gaffe at all. It’s just being spun that way for political purposes by Republicans who are not so quietly cheering for the economy to remain not-so-good. Please read the rest of this story here at the San Diego Free Press. The context is that the President stated that “the public sector is doing fine.” His only qualification was that the public sector is holding back a recovery. The problem is that the administration has been falling over itself for the last 1.5 years claiming that the economy is doing increasingly better. Recall “Recover Summer” from 2011? As for it being a gaffe? No, he said what he believes. The problem is that it doesn’t match reality. So I guess the author thinks the public sector is doing fine I take it? The exact opposite of what he said would be that the economy as a whole is doing poorly and that growth has slowed to a trickle. Of course, he can’t say that. Nor can his supporters. I guess you didn’t bother to read the rest of the story on the SDFP. Might be a good idea. There’s a lot you missed. You move the goal posts. In one breath you mention Ezra Klein stating that 600,000 public sector jobs have been lost since the President was elected. Yet you also write that private sector jobs have increased by 4.3M in the last 27 months. You neglect to mention the 5 million that were lost in the President’s first 14 months. That makes a big difference in the narrative. If the private sector is in so bad of shape, maybe we should pass some laws to get some of the lazy 1040 EZ filers’ money and give it to business. They must have that 2trillion or so in escrow or somewhere. The states and cities can just run an IPO and get some bucks so our kids can be in classrooms with less than 40 other kids. We could save alot of money if we had a minimum class size. Fifty sounds like a good number. And starve the cops and firefighter budgets. We don’t need so many police in OB any way. Hey, if we had a good fire with no firemen to put it ouy would that be a developers dream? With a clean slate they could fix OB up real nice.